What is just as important as personally being smart with money? Why it’s teaching your kids to be smart with money. What good is being able to bless your kids if they live in your basement while in their 20’s and 30’s? That is what this book is about. Smart Money Smart Kids shows how to raise money smart kids in a world where rampant debt is normal. The first part of the book brings home some common sense money and parenting truths. Money comes from work, the kids will learn from your example and have grace with your kids. As I read through the stories I thought “This is too simple.” Of course money comes from work and everyone knows kids learn by example. Then I realized that saying is one thing, doing is another. Moreover, how can I live a model of being money smart and teach that to my kids? Next, the book rolls into practicing the principles with your kids. The authors assume you are already good with money and work on a budget. It showcases a mini-envelope system that kids can learn from. Saving, spending and giving. With these three foundations, kids can learn to be wise with the money they have. I’ve heard Dave Ramsey say before that “The Ramsey’s will never borrow money.” What an audacious pair it takes to say that. Not just for Dave and his wife but his kids as well. That is reflected in this book. First no car debt, second no college debt and third no wedding debt or any other kind of monetary obligation. The book dives into multiple options on how to stay debt free with your children. “The Powersjo family will never borrow money.” As I meditate on this I realize it’s only possible to keep a family debt free with planning and intentional money management. Summarizing, it’s up to me and my wife to teach them. Of course, I highly recommend the book. 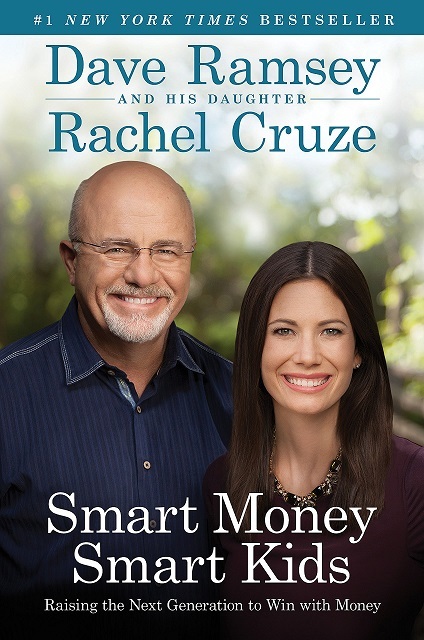 It’s an easy read, makes sense and gives parents plenty of tools to teach their kids to be wise with money. You can read my previous book review here. 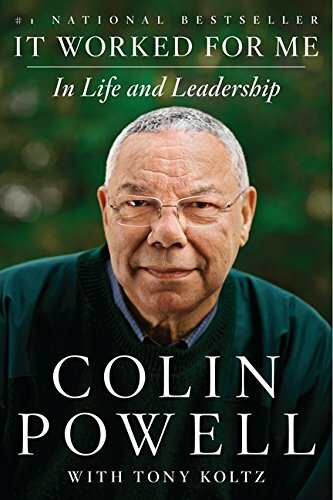 The reason I picked up this book, It worked for me, is I remembered, as a teenager, Colin Powell was the Secretary of State under President George W. Bush. I knew he was a US Army general and that he served under a republican administration. However, this was all I knew of him. I was pleased to find out more information about him personally, his career, where he has served and his leadership philosophies. That is what this book brings to the table. I have some military experience in my life, so the stories he presented and his leadership style was very familiar to me. I caught myself reflecting on my own habits and the practices of my superiors. One of his stories talked about having to get silly military training complete for his unit and complete the mission at hand. This is even more common in today’s military. His philosophy was to get the small tasks done first to move onto the mission and keep his superiors happy while defending our nation. Diving into that last thought I can think of two responses. Either we need to fix the silly requirements so we don’t need to do them again or comply and move past the frivolous task. I believe it comes down to time and that both of these responses can be accomplished. If there is time before the mission, project or quarterly plan, leaders should be able to throw up a red flag to fix the larger issue at hand. If we are on a tight schedule then move to complete the task then carry out the mission. Once the dust settles give the feedback to you leaders that the task needs to change. Don’t forget to add in your recommendation on how to change it for the better. A couple of other key points from the book: be where you are most effective as a leader. Colin Powell made sure to hire in people that had strengths that would complement his weaknesses. Turn minor corrections into positive learning experiences. I personally enjoy this one, I detest yelling and demeaning in the military without a valid purpose. If you want a drone to follow you, buy one and program it yourself. If you want an effective worker, team member, or soldier treat them like a human with a certain amount of respect. The last bit that I really enjoyed was learning about the different administrations Colin Powell served in and the people he met. He talks about his time with Princess Diana, President Reagan and various people of the press. It’s those little insights that help round out the picture for me. Instead of just the former Secretary of State, Colin Powell becomes more personable. I’m glad I took the time to look back at his experiences and leadership style.